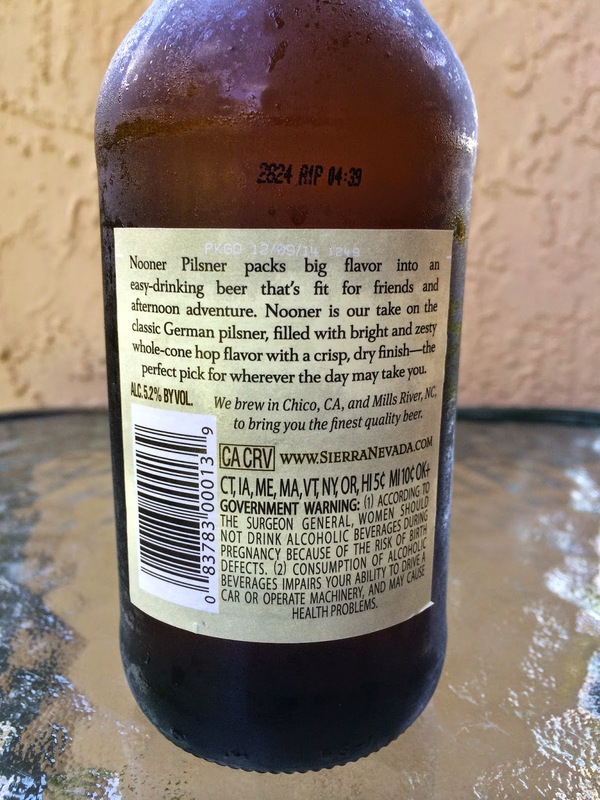 Today I decided to check out Sierra Nevada's German-style pilsner, Nooner Pilsner. SN is one of my favorite breweries so I had no problem blindly grabbing a sixer instead of a single bottle (though PKGD 12/09/14 should have caught my eye as a little dated for a beer bragging of "bright and zesty whole-cone hop flavor"). 5.2% alcohol. Grainy, cracker, lemony aroma. Grainy sweet start is immediately attacked by a lemony, spicy, floral bite. 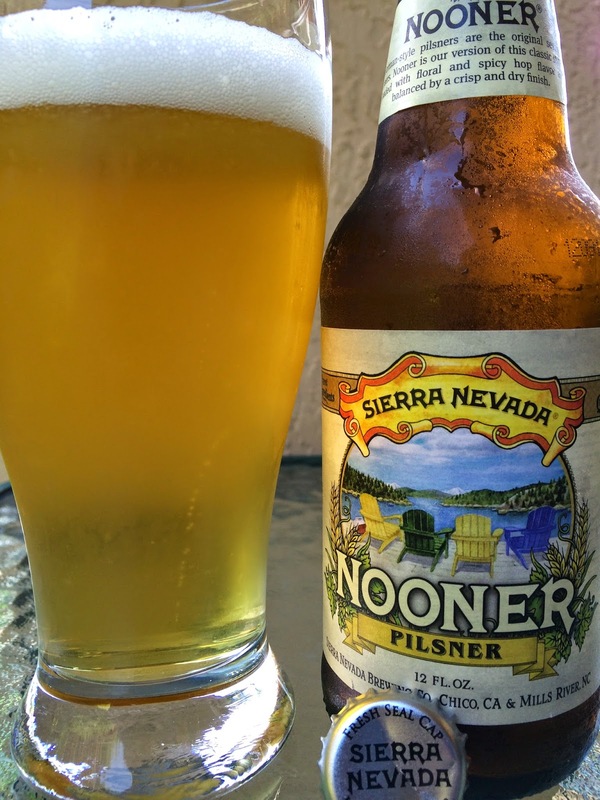 Nice flavors linger long after each sip. Quite refreshing. Wife chimed in, "this is good."